If you like old-school lemonade, this is the brew for you. 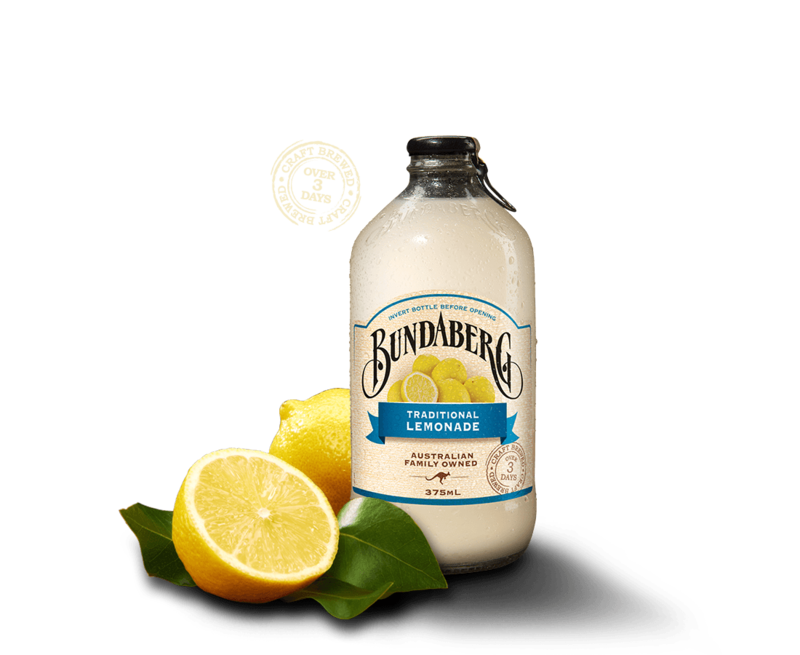 Bundaberg Traditional Lemonade is a refreshing, full-bodied brew that delivers the ultimate quench for your thirst. Made with real Australian Eureka lemons, it’s brewed for 3 days to extract maximum, zesty flavour. Ingredients: Carbonated water, cane sugar, lemon juice from concentrate (5%), lemon brew (4.5%) (water, lemon puree, cane sugar, nettle leaf, yeast), flavours, acid (citric acid), preservative (211).